In October 2016, Sandra Woodhead Lyons presented Development of a meaningful staff development resource as a participatory activity in continuing care at the 45th Annual Scientific and Educational Meeting of the Canadian Association on Gerontology: Fostering Innovation in Research on Aging in Montreal. In June 2016, Sandra Woodhead Lyons presented Can Cooperative Learning Strategies Lead to Practice Change in Continuing Care? at the Our Future is Aging: Current Research on Knowledge, Practice and Policy conference in Halifax. Gail V. Barrington presented The Evaluation Team as an Adaptive System: the Learning Circle Story at the Canadian Evaluation Society conference in St. John’s Newfoundland on June 7, 2016. ICCER presented a poster - Using developmental evaluation in health service research: A collaborative approach to qualitative data analysis - at the International Institute on Qualitative Methodology conference in Glasgow on May 3rd. At the end of December 2015, the research team completed their report discussing the Learning Circles project, their key findings, and recommendations. An Executive Summary and a short, 2-page document were also created. 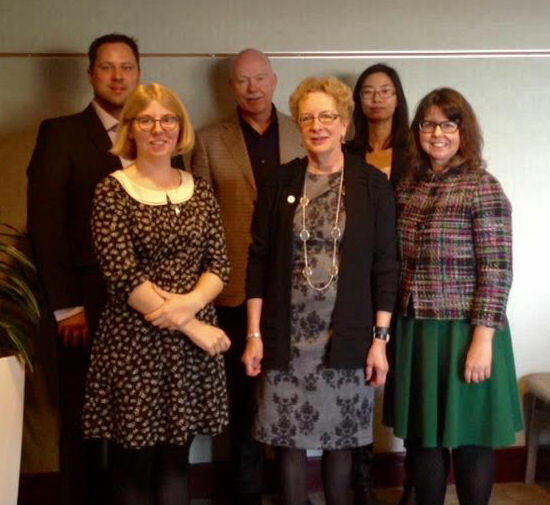 On 25 October 2015, the research team held a symposium at the Canadian Association on Gerontology conference in Calgary, Alberta. A copy of their powerpoint is available here. On 30 September 2015, PI Sharla King presented on behalf of the research team at the Collaboration Across Borders V conference. A copy of her presentation is available here. In 2014 a team led by Dr. Sharla King (University of Alberta) and Mr. Steve Friesen (Bethany Care Society) received funding through Covenant Health’s Network of Excellence in Seniors Health & Wellness to implement and evaluate learning circles in both long term care and supportive living sites in Alberta. Adult education was the number 2 issue identified in the 2012 consultation process with direct care providers. Knowledge transfer, and increasing the capacity of health providers to integrate best practices into care, is one of the most urgent challenges and opportunities for quality improvement in continuing care. Many organizations spend considerable time and resources on educational initiatives to inform and build capacity of direct care providers. However, there is evidence that traditional education methods for transferring knowledge are not effective, particularly with Health Care Aides. ICCER funded a pilot project to implement learning circles in Bethany Care Society and Excel Society. Funding was provided for Barrington Research Group to conduct a formal evaluation of the learning circles implemented at Bethany Care. Initial findings show that the learning circles have: i) increased communication between staff and management; ii) increased communication between staff; iii) increased collaborative teamwork; iv) enhanced resident-centred care; and v) increased confidence in decision-making abilities.